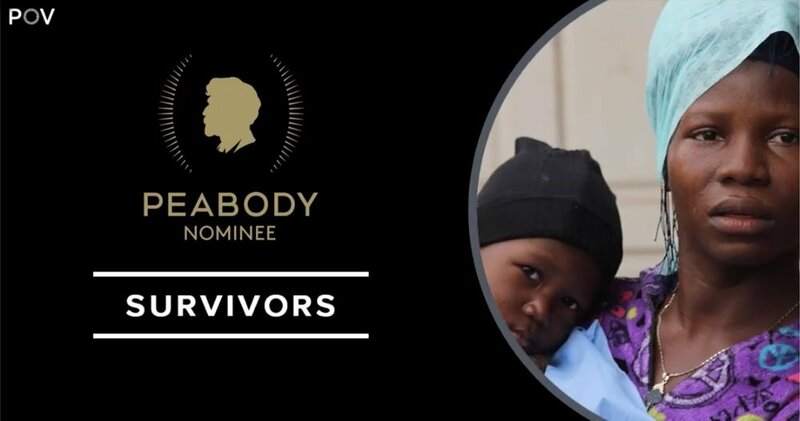 SURVIVORS, a film by WeOwnTV, earned a nomination for a 2019 George Foster Peabody Award, one of the highest honors in broadcast and digital media. The Survivors documentary was produced by WeOnTV, a professional collaboration between filmmakers in the US and Sierra Leone. The film premiered to acclaim at festivals in North America, Asia, Africa and Europe ((IDFA, Camden International Film Festival, Shanghai International Film Festival, Encounters International Film Festival South Africa , CPH:DOX). In September 2018, the film was broadcast on PBS’s award-winning series, POV. Through the eyes of Sierra Leonean filmmaker Arthur Pratt, Survivors presents a heart-connected portrait of his country during the Ebola outbreak, exposing the complexity of the epidemic and the socio-political turmoil that lies in its wake. With unflinching intimacy, Survivors places us in the midst of the Ebola outbreak in Sierra Leone. SURVIVORS was produced and directed by Arthur Pratt, Banker White, Anna Fitch and Barmmy Boy; produced by Sara Dosa and Samantha Grant; edited by Banker White and Don Bernier; executive producers Sally Jo Fifer, Justine Nagan and ChrisWhite; supervising producer Shana Swanson; with original score by Tyler Strickland. The film is a co-production of WeOwnTV, American Documentary | POV, and Independent Television Services (ITVS) and was made possible through support from the National Endowment for the Humanities, (NEH), MacArthur Foundation, the Bertha Foundation, Doc Society, The Tribeca Film Institute, the Rockefeller Foundation, Kenneth Rainin Foundation, GlobalGiving, Catapult Film Fund, Chicken and Egg Pictures and Creative Capital.